On Wednesday, the United States Supreme Court is expected to take on the issue of gay marriage with a pair of rulings, one addressing the constitutionality of the controversial 1996 Defense of Marriage Act and the just-as-controversial 2008 Proposition 8, which outlawed gay marriage in the state of California. It's unclear how the court will rule on the cases, but one thing is for certain: Americans' perception of gay marriage is changing, and rapidly. Only 27% of Americans supported gay marriage in a 1996 Gallup poll, as opposed to the 53% who did in a May 2013 follow-up survey. An increase in gay characters on television in shows like Will and Grace and Happy Endings likely played a part, as has a continued, decades-long public debate over the issue. But one of the most important factors is that Americans living in 2013 personally know a lot more gay people than they used to. Indeed, new data revealed today by Facebook states that 70% of Americans who use the social network have at least one gay, lesbian or bisexual friend. Though many people often complain that technological advances are driving us apart and killing communication, the truth is that technology is simply changing the way people talk and connect. Social networks like Facebook make it easier to share your sexual orientation, putting a human face on a divisive topic. 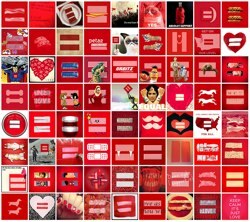 And earlier this year, support for equal marriage went viral on the social network, with supporters flooding the site with red equal sign logos to denote their position publically. It all makes a difference: Gallup research indicates that knowing someone who is gay will affect your views on gay issues. The Facebook statistic matches up quite well with recent polling from Pew Research Center for People & the Press, which shows that 87% of those surveyed "personally know" someone who is gay or lesbian. Not everything has to do with being gay, Fox.